Don’t you just love when you find a solution to an annoying problem? A lightbulb moment so to speak? 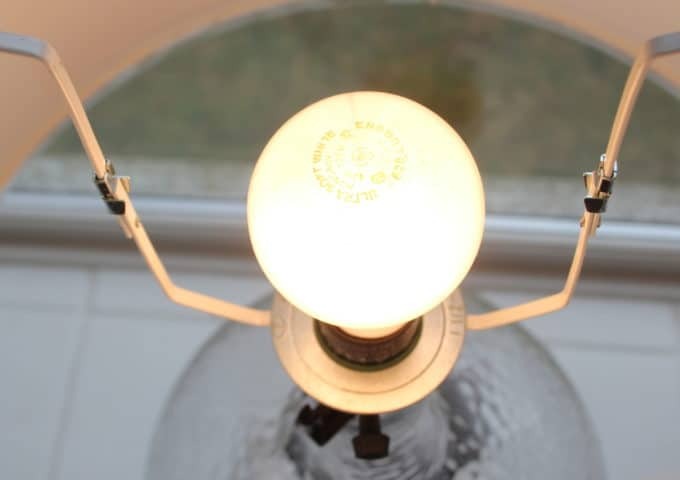 I’m always trying to figure out how to jerryrig things around my house to make them work better, but two things have been bugging me for years – crooked lamp shades, and super affordable IKEA lamp shades that frustratingly-enough only fit Ikea lamps! Today I’m happy to share how after a lot of trial and error and walking the aisles of the hardware stores, I finally figured out a good solution to both of these lamp shade issues. I know, I know – it’s rocket science over here people. Every day. What can I say. 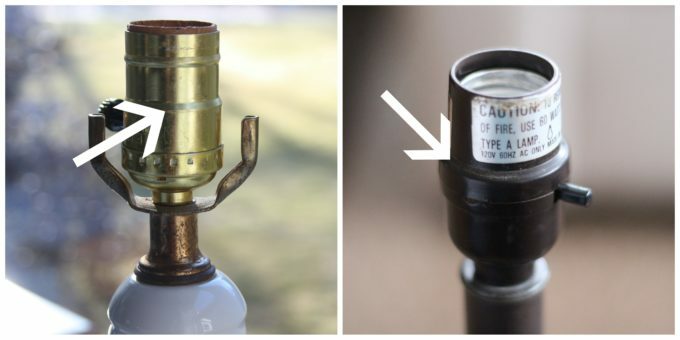 If your lamp socket has a little ridge on it like these two below, this quick fix should work for you. 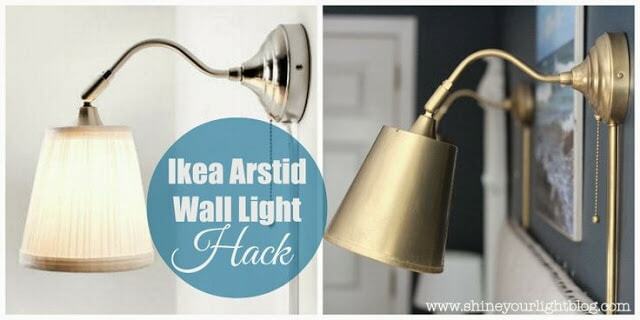 I can’t promise it’s going to work for everyone on every lamp, but it’s a cheap trick that is worth a try! 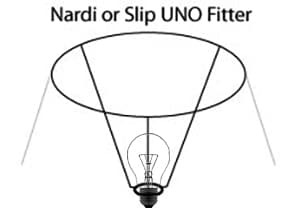 This is a hack specifically for common lamp shades that have slip UNO fitters (also known as Nardi fitters) that sit on the lamp socket. 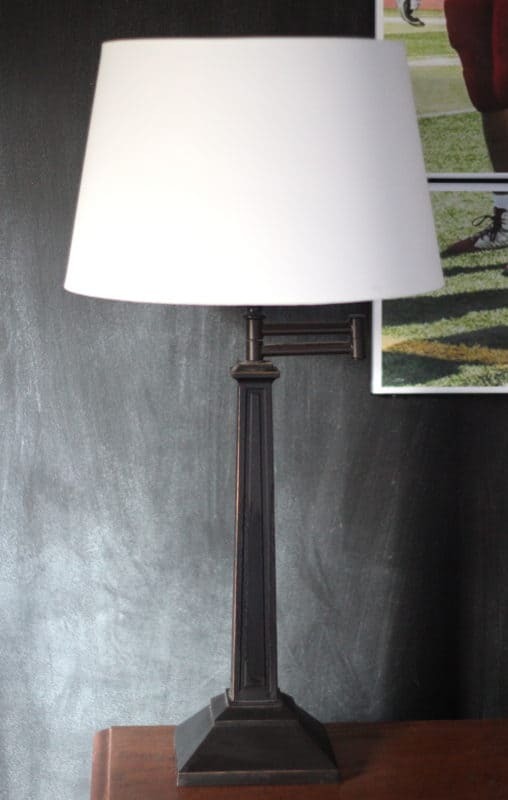 but also works with my Target and Pottery Barn “slip UNO fitter” style shades that hang crookedly on some lamps. FYI I am not an affiliate of Ikea, but this post does contain links to products for your convenience, including affiliate links. 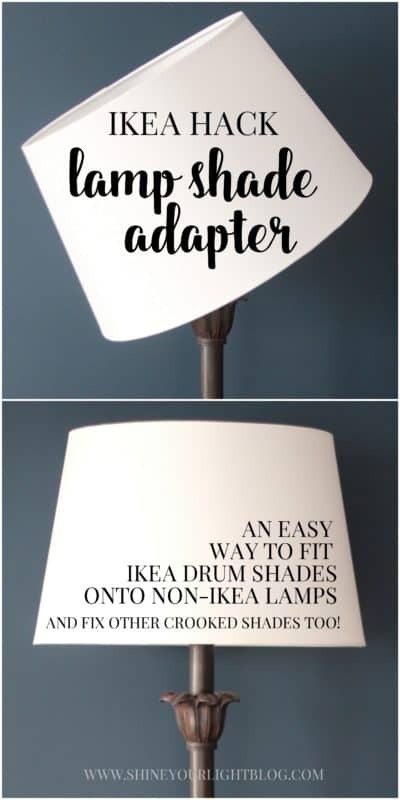 The Ikea shades come with two little plastic adapters that snap off so you actually have three sizing options, but before writing this post I tried all three sizes on lamps around my house and not one of them fit any lamp – the ring that sits on the lamp socket is either too big or too small. 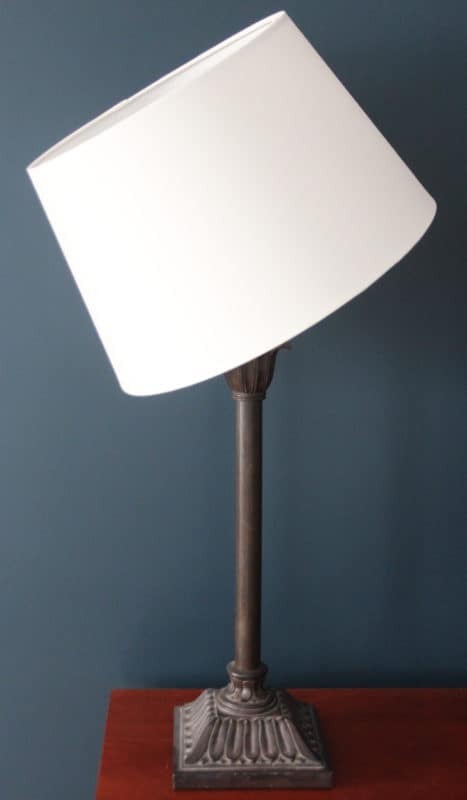 This lamp below has a typical modern socket (it looks rusty but it’s just dust. Pardon my poor housekeeping.) The Ikea lamp shade adapters are too small to fit on it…. ….and without the adapters the ring is way too big. This is not quite what I had in mind! The solution is so simple!! Are you ready for this epic tutorial? 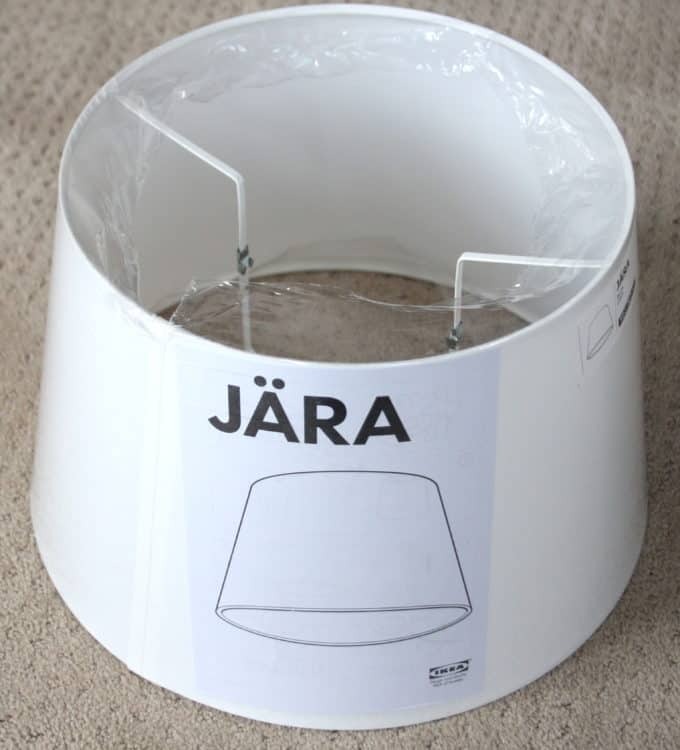 HOW TO ADAPT YOUR IKEA LAMPSHADE TO A NON-IKEA LAMP. 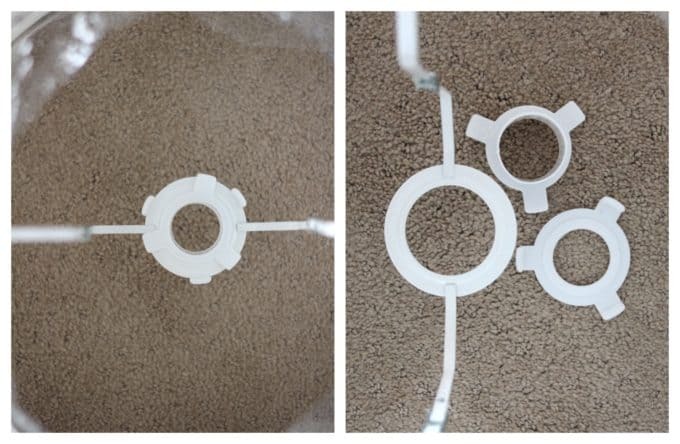 The lamp shade ring is sandwiched between these two washers that fit tightly together to make the hole just the right size. Do you have your notepad ready?? Because this is big. 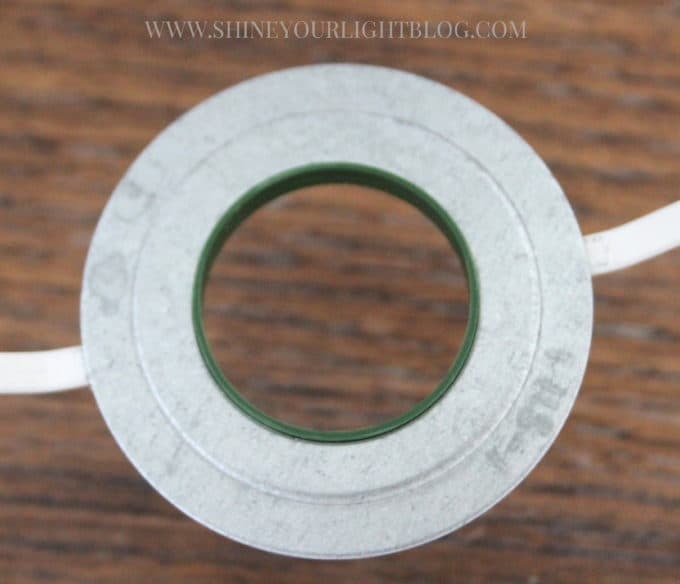 1 | push the rubber flange onto the socket • 2 | add the lamp shade • 3 | fit the metal washer over the green lip. 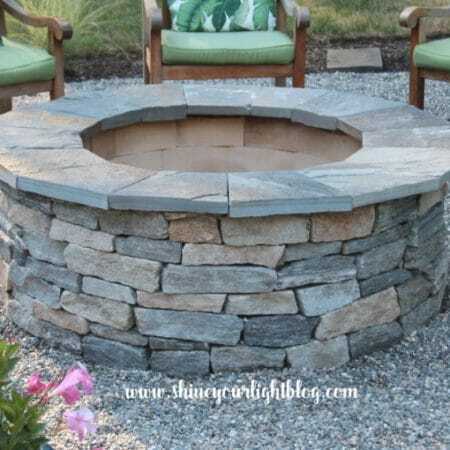 Optional: hold these three pieces together by covering the rubber flange and lamp shade ring with Gorilla Glue in step 2, before placing the metal washer on top. 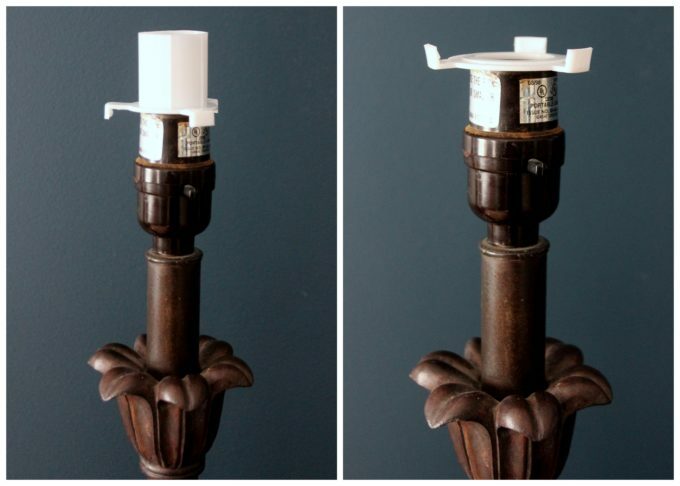 This still allows you to remove the lampshade but the “adaptor” is permanently fixed onto it. And here it is – the lamp shade “adapter”. The washers come with several per pack, so I tried different combinations – two green washers, two metal washers, various other rubber washers – but these two seem to be the winning combination because the rubber one fits really snugly into the metal opening. You may want to try different sizes of the washers to see what would be the best fit for your lamp – the washers that have a 1 1/2″ opening were good for me. Rubber washers are available in a 1 1/4″ size also. I have two of these Target swing arm lamps above and no shades ever sat properly on them – even the Target shades were crooked!! But the snazzy new adapter did the trick! The Ikea shades are made of polyester and I was slightly worried they would look super cheap, but you know, I don’t even notice them (especially now that they’re not crooked). They don’t really call attention to themselves and don’t stand out as being inferior to my Pottery Barn shades (which I bought at the outlet store). I use the Ikea shades in all of our bedrooms and they are perfect in there. 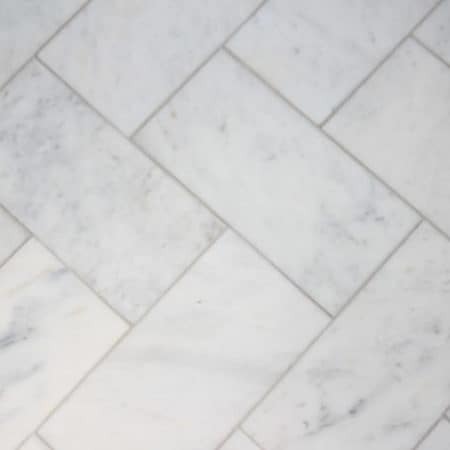 I have our “nicer” (aka more expensive) shades in the living room and family room, but I bet if I took a poll only a select few people would know which ones were better quality. 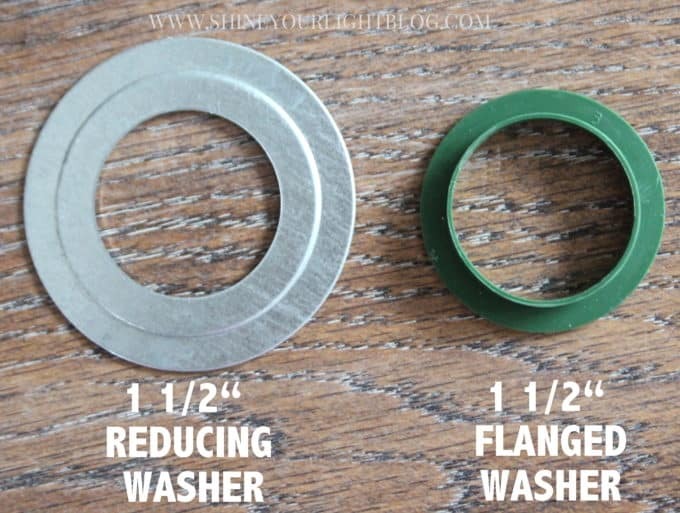 *you may have better luck with different sized washers – this is what worked for me on several lamps. If you prefer a linen shade, check out shades at Target ($14.99 for 13″) – a steal compared to Pottery Barn ($49.99 for 13.5″) or Ballard Designs ($49.99 for 13″). 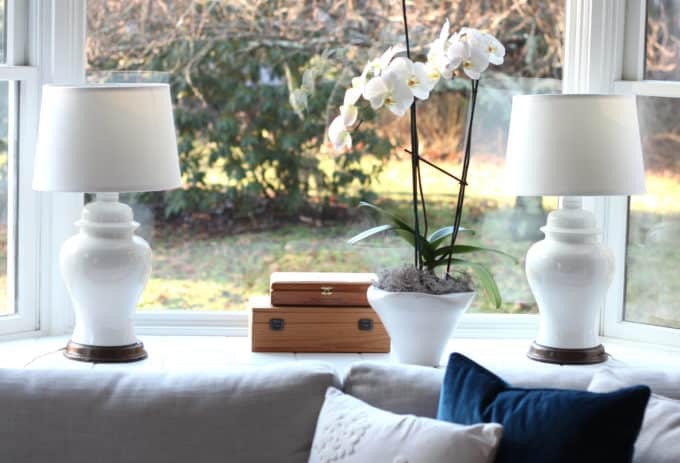 The white ginger jar lamp bases are from a thrift store and the Target swing arm lamps are no longer available. Check out Apartment Therapy’s guide to choosing the right size lamp shade. 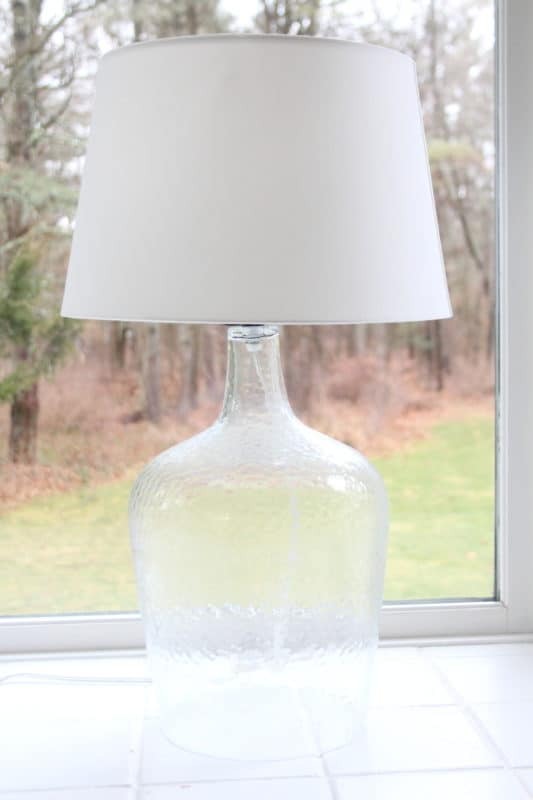 I hope you enjoyed this little trick to make inexpensive shades work on your lamps! You’re welcome! I hope this trick works for you!! You are a genius. I’ll certainly try this. This is awesome, Lisa!!!! I’m currently staring at a wonky lampshade 😀 Not for much longer though! Hope it works for you Shelley!! I’d watch your You Tube channel! 🙂 This is SO smart! Great ideas Lisa! Your lamps look brand new now. And their so affordable, love that! 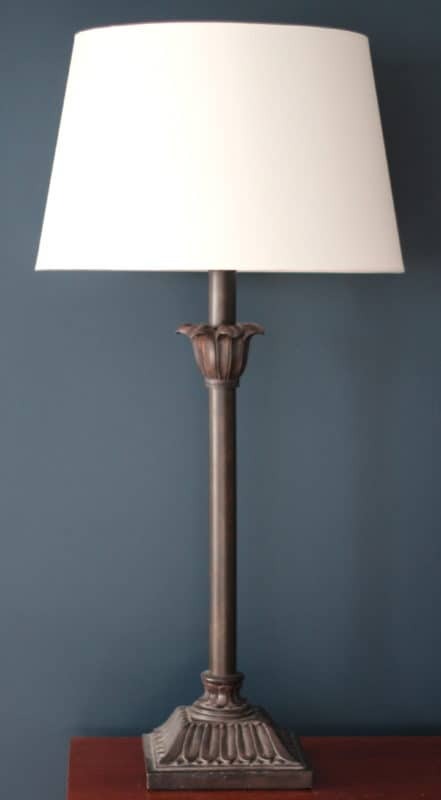 It’s amazing how updating the shade can totally save a lamp Jane, isn’t it? 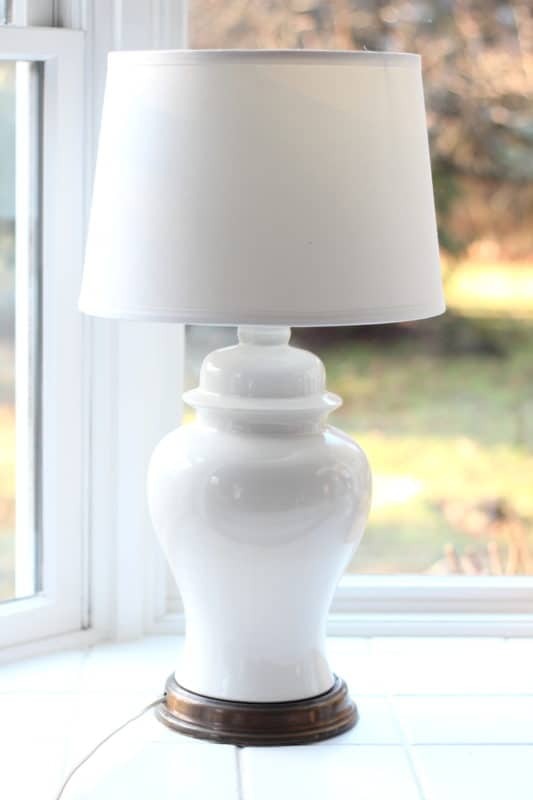 My mom moved recently and we got new shades for all her old lamps – it’s like they have a whole new life! Hope you are doing well! Oh my gosh Lisa I needed this! I have some wobbly shades in my living room and I’m literally going to go crazy if I have to fix it one more time! hahaha. Stephanie that was my husband. The crooked lampshades were making him nuts!! He was ready to throw the lamps and shades out altogether! Hope this fix works for you! i needed this post a few years ago! i have since ditched those lamps…;) but oh man i need to save this for reference! My husband thinks I have OCD because wonky lampshades made me nuts. It’s nice to know I’m not the only one. And thank you for sharing this Hack. Now I can obsess over something else. ? Mary that’s so funny. In my house it was my husband the crooked shades were making really nuts. He was ready to throw them all out! Hope this little trick works for you! What a great idea! I’m pinning this one! Thank you Pat – I hope it works as well for you as it did for me! Don’t kid yourself – this is brilliant!! I stopped buying IKEA shades because of this exact issue! Love your solution! I’m sure Ikea does that on purpose so we have to buy their lamps! 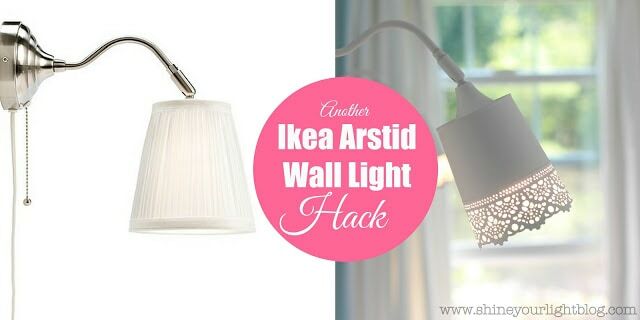 This trick has worked great for all the wonky shades in our house, Ikea or otherwise! Which is good, because Mark kept threatening to throw them all out with the trash every week!